U.S.S. 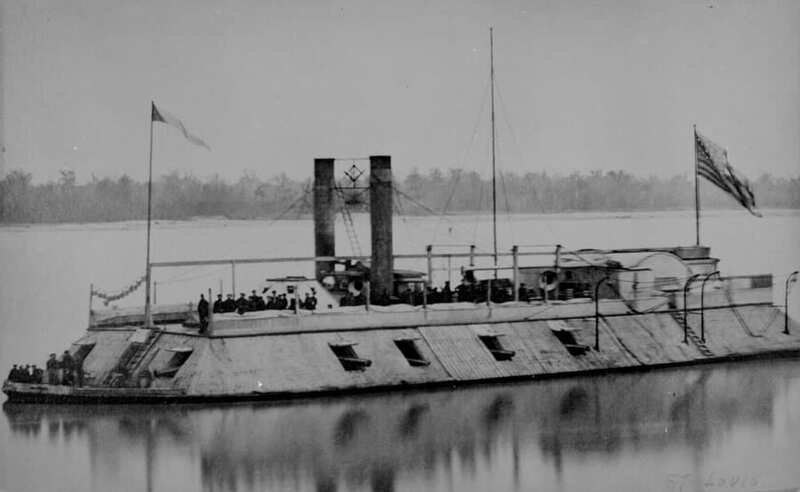 St. Louis, first Eads ironclad gunboat, renamed the Baron de Kalb in October 1862. 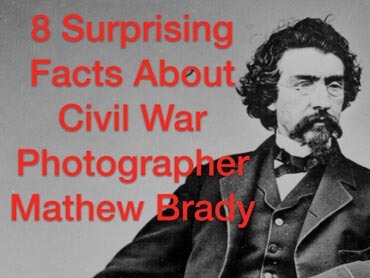 Mathew Brady has been called the father of photojournalism. His name is synonymous with the images showing the struggles, triumphs, and human costs of the Civil War. But there are many things you might not know about this icon and photography pioneer. 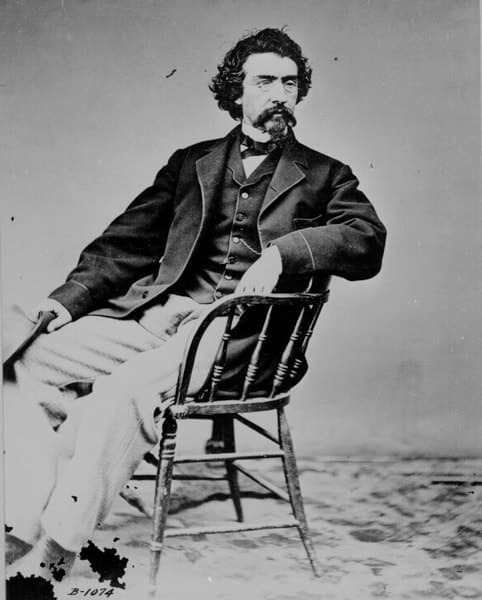 Mathew Brady was an artist, an innovator, an entrepreneur, and a household name during his own lifetime. He associated with celebrities and politicians. Brady left to future generations history's first photographic record of war–arguably the first photographic record of a major geopolitical event. It's surprising he's not even more widely recognized than he is. 1. He studied with Samuel Morse, Inventor of the Telegraph. Setting aside philosophical discussions about whether technology must precede art, or vice versa, in the early days of photography, experimentation played a vital role. It's no wonder, then, that Brady would seek to learn from a man who was both artist and inventor. While Morse is widely recognized as the telegraph's inventor, his is a household name today due to the language he developed with Alfred Vail–a system of dots and dashes used to communicate on the telegraph–known as Morse Code. Although Brady was an artist and a businessman, he was also an inventor, of sorts. If there were a family tree of photography, daguerrotype might be its closest ancestor–really an early form of photography itself. It involved a copper plate coated with silver iodide exposed to light and mercury vapor. (Sounds safe, doesn't it?) His hard work and artistic talents built his reputation after he opened “The Daguerrean Miniature Gallery” on Broadway in New York City in 1844. 2. 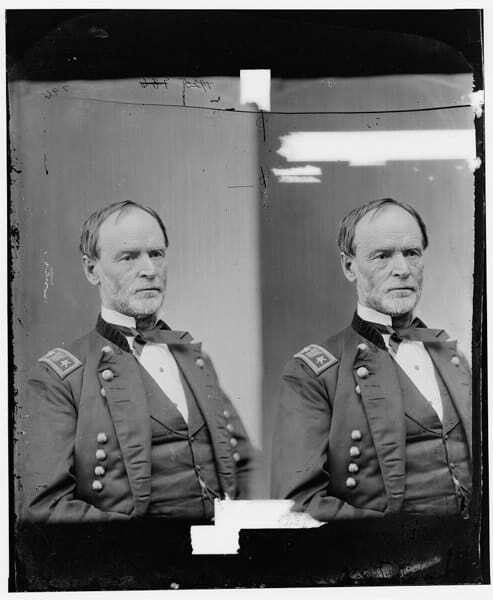 Most of the Civil War photos associated with Brady weren't taken by Brady. In 1861, Brady hired a staff of photographers–some reports say around 20–to make a record of the American Civil War. He dispatched them to various war zones. Because he refused to give individual credit to photographers, some of them left his employment. Brady would fund, organize, and dispatch them into the battlefield. In today's era of heightened intellectual property rights, not crediting individual photographers might be frowned upon, but in the 1800's it was not uncommon in many professions or trades, such as the relationship between an architect and a draftsman. Brady was not unlike Thomas Edison in this respect. Edison was an inventor in his own right but much of his wealth and fame came from managing and supervising the inventions of others in his employ, Brady spent a great deal of time organizing photographers and supervising studios. 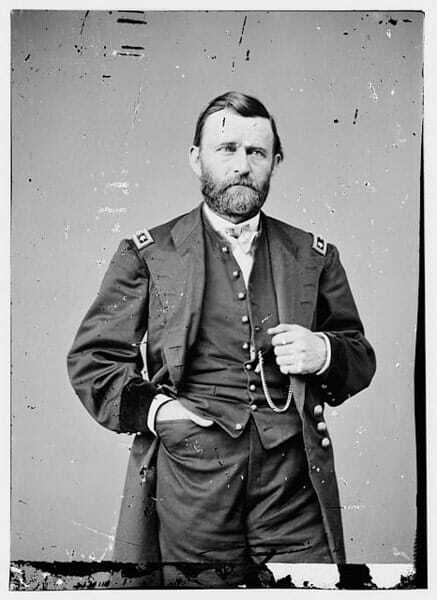 Historians believe that he photographed only occasionally on some battlefields, like Gettysburg., Bull Run, and Antietam. 3. Brady photographed every U.S. President, from John Quincy Adams (#6) to William McKinley (#25), except one. Much of his Civil War photography was funded by his successful portrait photography, including Presidents. While John Quincy Adams must have been well past is time in office when Brady took his portrait (Brady was just 25 when Adams died in 1848), this is still an astounding accomplishment. Any photographer fortunate enough to have a single world leader sit for a portrait, before or after his or her time in office, has certainly reached a professional milestone few will match. When his career matured, Brady was more than a photographer–he was a brand, nearly synonymous with photography itself. It is no wonder that politicians wanted to harness the power of their image. Being seen by the camera's eye gave them the potential to be seen by the public at large and to achieve greater notoriety than through a journalist's sketch. In the days before the White House Press Office, Brady had a reputation for fashioning an indelible image that would reside in the minds of the voters. The only President who didn't make Brady's collection? William Henry Harrison, who died of pneumonia just 31 days into his term. This is all the more impressive when you consider that a long exposure was required in those days. I mean, how long did Brady have to hold a straight face and not snicker at James K. Polk's mullet? 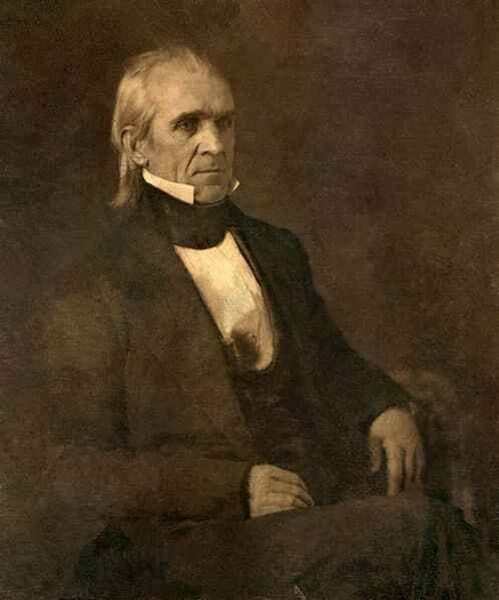 James K. Polk. Seriously, that hair may say “Annexation of Texas” up front, but it's clearly “party in the back”! 4. Brady's past is a mystery. For someone who made such an impact on the historical record of the 19th Century, very little is known of Brady's background. Neither his parents' names or his own date of birth survive in the historical record. His claimed year and place of birth is 1822 in Warren County, New York, to Irish parents. He had no children, and though he is believed to have married Julia Handy in 1851, there is no record of of the marriage. 5. Brady's The Dead of Antietam exhibit was the first time photographs of a battlefield had been taken prior to removal of the dead. Photojournalists have followed in his footsteps ever since, from the trenches of WWI Europe to atrocities in Rwanda in the 1990s, to modern conditions in ISIS-held territories in the Middle East. Wherever the photographic documentation of man's inhumanity to man must be seen so that we do not underestimate or understate its horror, the shadow of Mathew Brady and his photographers looms large. 6. Brady was successful before the Civil War. In 1850 he published The Gallery of Illustrious Americans, a collection of daguerreotypes of 12 famous Americans. In 1851 Brady won medals at the Fair of All Nations in London and at New York’s Industrial Exhibition at Crystal Palace for his daguerreotypes. After opening a studio in Washington DC, Brady produced daguerreotypes of politicians and other prominent individuals, including Henry Clay, John C. Calhoun, and Zachary Taylor It sold for the unheard-of sum of $15. This is the equivalent to about $400 today. For images of 12 people. I can't even think of 12 people I'd pay $400 to meet in person. It's perhaps a measure of how commonplace the photo has become–as a medium for both art and information–that someone would spend that much money on a photo book. While modern coffee table books by famous photographers might set you back more than the cost of a Mitch Album bestseller, these rarely make photographers famous–they are designed to bolster (in economic terms, “signal”) to the market the artist's value. It's difficult for the modern photographer to appreciate how novel a product the photo book would have been. 7. Photographing the Civil War bankrupted him. Mathew Brady's documentation of the Civil War was perhaps made possible by his previously-existing relationship with Abraham Lincoln. Lincoln credited Brady's portrait of him (and his Cooper-Union speech) with his successful election. 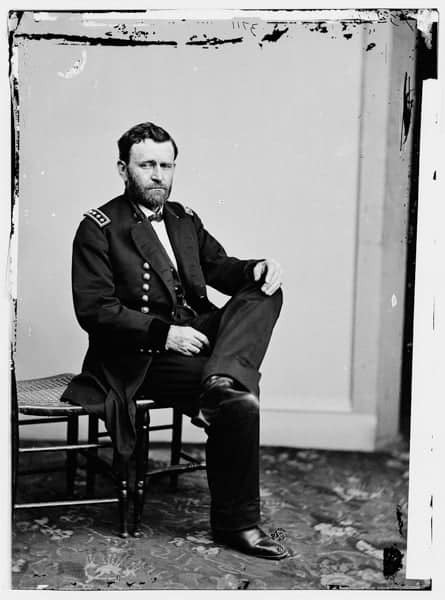 While Lincoln may have been engaging in some political puffery in his praise of Brady, the relationship gave Brady the path to approach Lincoln later. In 1861, when war seemed imminent, Brady asked Lincoln for permission to photograph the coming conflict on the battlefields. Lincoln gave approval, on the condition that Brady would receive no financial support from the government for the project. That decision would turn out to be a fateful one in the life and fortune of Mathew Brady. Brady would go on to spend an estimated $100,000 photographing the Civil War, and had also racked up serious debts by the time he was finished. He was no longer using daguerreotypes for this project, but the logistics of photographers, plates, tripods, and chemicals moving by wagon from battlefield to battlefield were not insignificant. Brady had hoped to sell the collection to the New York historical society, but the deal never fully materialized. The resulting exhibitions, while a critical success and well-attended by the public, did not translate to large sales figures photos. Brady filed for bankruptcy and in 1875 the collection of Civil War negatives for $25,000. This was just enough to satisfy the outstanding debts. Today, the negatives are property of the National Archives. 8. Brady suffered from very poor eyesight. Brady, Mathew B., photographer; full-length seated. This might account for the sparse writings attributed to Brady. Or there is perhaps no direct correlation. Either way, one can only imagine the state of early 19th century optometry when Mathew Brady was born. A visit to have one's eyes checked in 1840 almost seems like a Monty Python sketch waiting to happen. At least his is the one area of medicine that didn't involve leeches (I hope.). But given the limited improvements available to those with failing eyesight in those days, this condition makes Brady's determination and ultimate achievements all the more admirable. In the fall of 1990, during the early days of Operation Desert Storm, Americans watched from their living rooms each evening as video of smart bombs being dropped down chimneys played on CNN. After the turn of the millennium a decade later, the shock and awe of war unfolded daily, instantly, online, as journalists embedded with soldiers, bringing the conflict ever closer, coloring it with urgency. The day of the far away war correspondent, sending dispatches from the front, had given way to a ubiquitous–nearly prescient–high-definition, visual historical record. If one follows the breadcrumbs of this record backwards through history, more than one-and-a-half centuries, to the moment when impressions of war became images of war, and readers of history became history's viewers, one finds Mathew Brady. Brady did more than pioneer the art and technology of photography, though he certainly did that. He did not merely popularize the photographic portrait as a serious replacement for paintings, paving the way for portraits to be available to the masses–though he did this as well. Mathew Brady's most profound and lasting accomplishment is that he legitimized photography as a method of establishing the historical record. The public's opinion of the battles and bloodshed of the Civil War were formed (and continue to be formed) by the work of Brady and the photographers he employed.